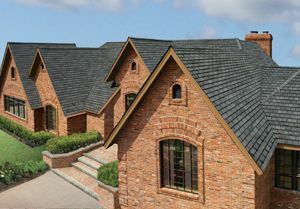 Finding the right company to provide you with the roofing products and installation services that you need can seem like a daunting challenge if you’ve never done it before. Fortunately, homeowners in Richmond, Virginia, don’t have to go through an extensive hassle – they can just turn to MR. FIX-IT™. A trusted full-service remodeler that has been serving the area since 1970, our roofing expertise is second-to-none. We’re a GAF Master Elite Certified Roofing Contractor, which means that we’re a trusted dealer and installer of premium GAF roof systems, and our decades of exemplary service have helped us earn and keep an A+ rating with the Better Business Bureau. Whether you need targeted roofing repair on a few shingles or complete roof replacement for your home in Richmond, you can count on MR. FIX-IT™ professionals to get the job done right. One of our most deeply held tenets is that it’s not just how good a product looks, but how long it looks good. Because of this belief, our roofing experts will not only work carefully to ensure that your shingles are properly installed, they’ll also perform thorough checks on all associated systems (such as your gutters) to ensure that your roof will last for decades to come. For more information about how the roofing products we provide in Richmond, VA, are second-to-none, contact MR. FIX-IT™ today.